In its first five years of existence, The Perl Journal ran 247 articles by over 120 authors. Every serious Perl programmer subscribed to it, and every notable Perl guru jumped at the opportunity to write for it. TPJ explained critical topics such as regular expressions, databases, and object-oriented programming, and demonstrated Perl's utility for fields as diverse as astronomy, biology, economics, AI, and games. The magazine gave birth to both the Obfuscated Perl Contest and the Perl Poetry contest, and remains a proud and timeless achievement of Perl during one of its most exciting periods of development.Computer Science and Perl Programming is the first volume of The Best of the Perl Journal, compiled and re-edited by the original editor and publisher of The Perl Journal, Jon Orwant. In this series, we've taken the very best (and still relevant) articles published in TPJ over its 5 years of publication and immortalized them into three volumes. This volume has 70 articles devoted to hard-core computer science, advanced programming techniques, and the underlying mechanics of Perl.Here's a sample of what you'll find inside: * Jeffrey Friedl on Understanding Regexes * Mark Jason Dominus on optimizing your Perl programs with Memoization * Damian Conway on Parsing * Tim Meadowcroft on integrating Perl with Microsoft Office * Larry Wall on the culture of Perl Written by 41 of the most prominent and prolific members of the closely-knit Perl community, this anthology does what no other book can, giving unique insight into the real-life applications and powerful techniques made possible by Perl.Other books tell you how to use Perl, but this book goes far beyond that: it shows you not only how to use Perl, but what you could use Perl for. 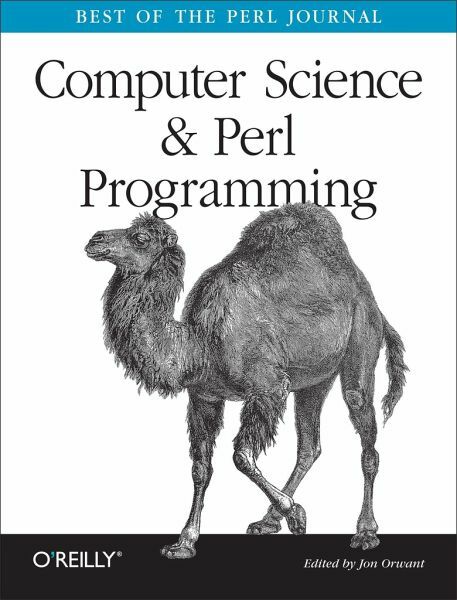 This is more than just The Best of the Perl Journal -- in many ways, this is the best of Perl. Verlag: O'REILLY & ASSOC INC / O'Reilly Media, Inc.
O¿Reilly Media spreads the knowledge of innovators through its books, online services, magazines, research, and conferences. Since 1978, O¿Reilly has been a chronicler and catalyst of leading-edge development, homing in on the technology trends that really matter and galvanizing their adoption by amplifying ¿faint signals¿ from the alpha geeks who are creating the future. An active participant in the technology community, the company has a long history of advocacy, meme-making, and evangelism.